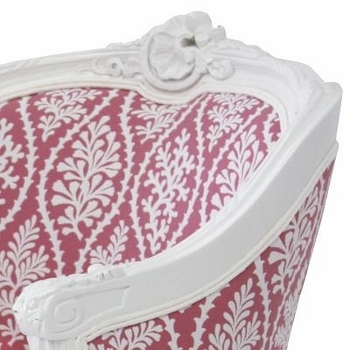 The Marcela Chaise by Art For Kids is the perfect place to relax. 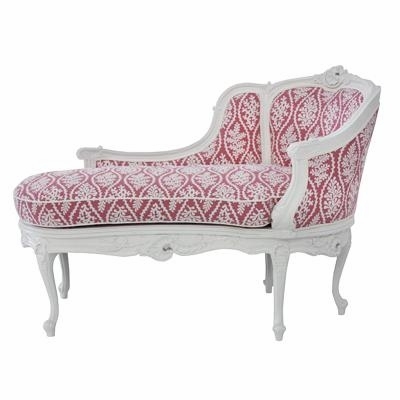 The chaise features beautiful handcrafted woodwork and an upholstered seat. The piece is an elegant accent to any room. Each piece is custom done and is available in many different finishes. Dimensions - Width: 53" x Depth: 29 1/2" x Height: 39 1/2"
The chaise is custom made to order and ships directly from the manufacturer. Wood chip samples available upon request.